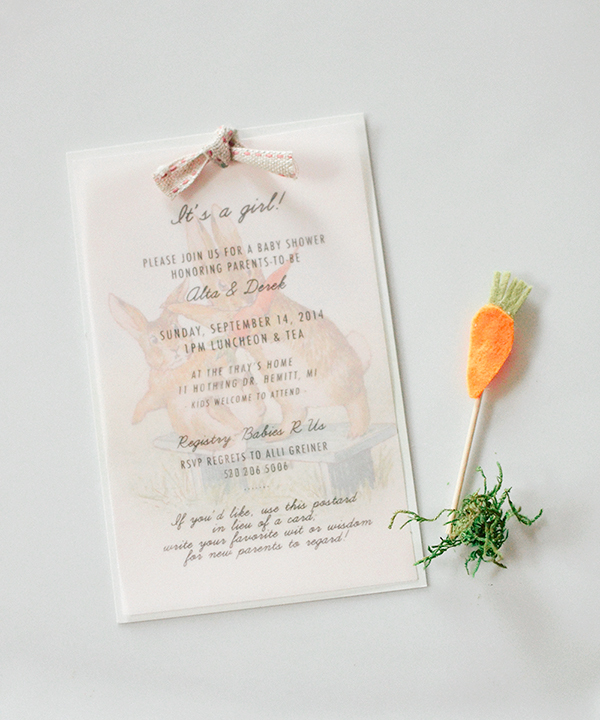 My oldest childhood friend is expecting her first baby, and I made these little invites* for her Peter Rabbit themed shower. The shower is this weekend, so this post is basically me procrastinating! 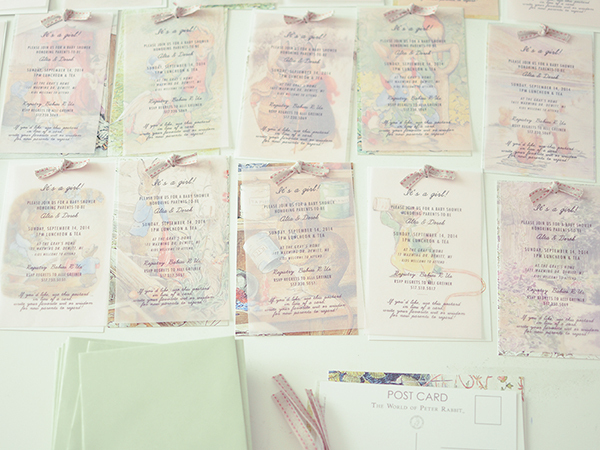 I ordered Beatrix Potter postcards and printed the info onto pink vellum, with a footnote asking guests to bring back the postcard with some wit or wisdom for the new parents. It was fun picking out the different postcard illustrations for various guests that I know (which eventually came down to, how many cats would this person tolerate?). When we were little, our old library had a collection of teeny, tiny (crinkly plastic-covered) Potter books that we absolutely loved, so I've felt really nostalgic planning out all the details and imagining my friend's sweet new baby. Fingers crossed I'll be able to capture more from the special day.